This conference deals with a range of topics relevant to the archaeology, society and culture of early Egypt in prehistoric and early historical times up to the early 3rd Millennium B.C.E. 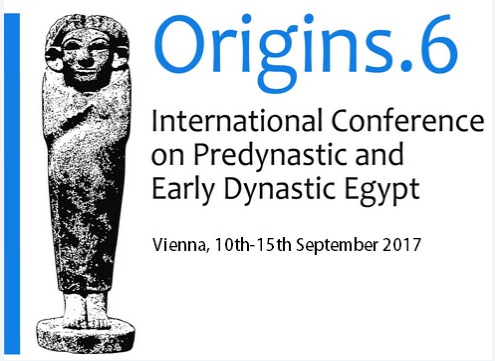 The sixth international conference on Predynastic and Early Dynastic Egypt will take place in Vienna on September 10-15, 2017. This conference stands in a now well established and successful tradition of previous meetings in Cracow 2002, Toulouse 2005, London 2008, New York 2011 and Cairo 2014. This conference deals with a range of topics relevant to the archaeology, society and culture of early Egypt in prehistoric and early historical times up to the early 3rd Millennium B.C.E. From 10th to 15th September 2017, leading experts in the field, together with young scholars, will gather and present the latest results on archaeological fieldwork and research relevant to questions surrounding the origins of the world’s first territorial state of Pharaonic Egypt. At this conference, we especially encourage contributions related to centralization, urbanism, social complexity and the region of Memphis.